A cure against the zombie virus has been developed by an evil scientist. The human race is spreading fast over the land. There's a rumor going around that there's a zombie sanctuary in Chicago. 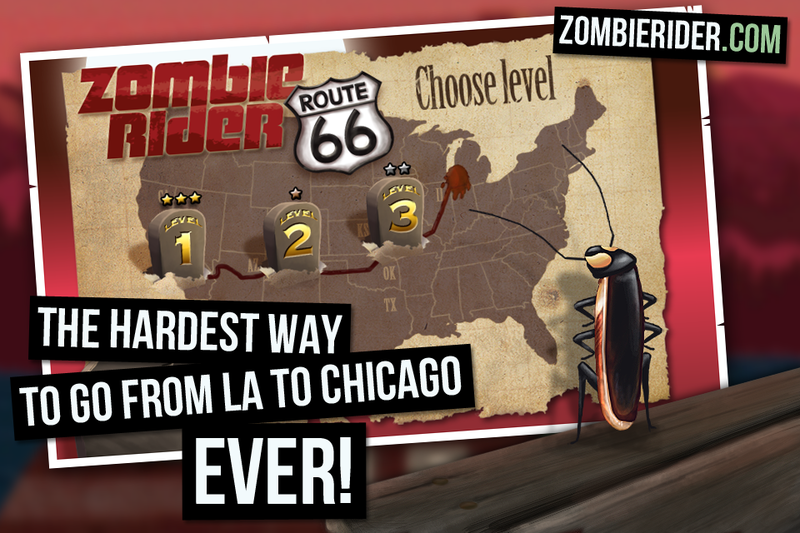 The fastest way to find out if it's true... is to jump on your chopper and get on Route 66! 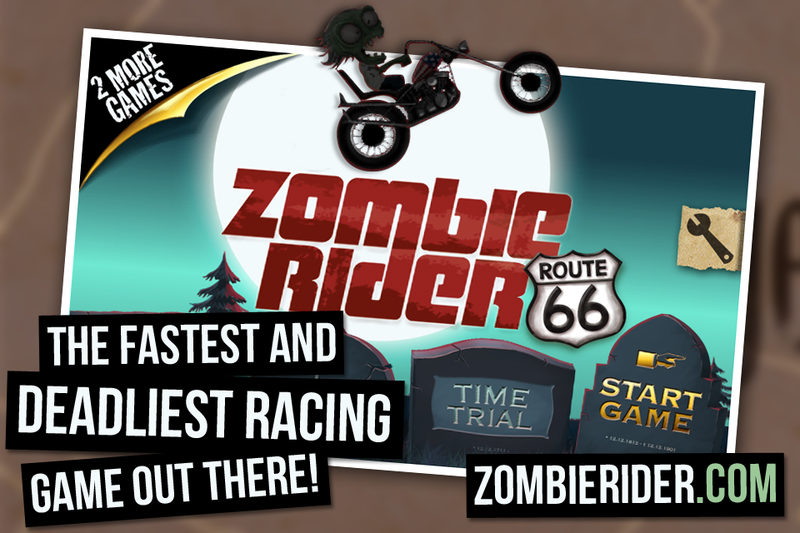 The developers of Turbo Grannies (over 3 million downloads) are proud to introduce their next big racing game; Zombie Rider. 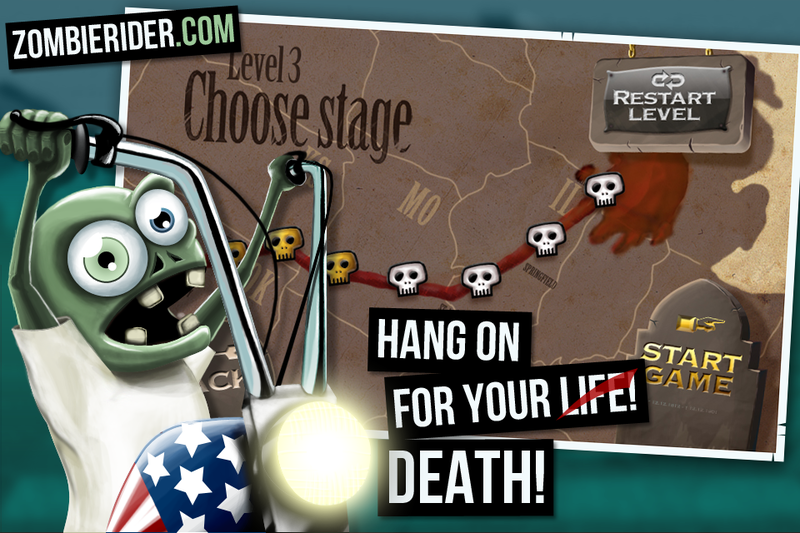 A tricky game where speed might not be enough to take you to the top of the leaderboards. 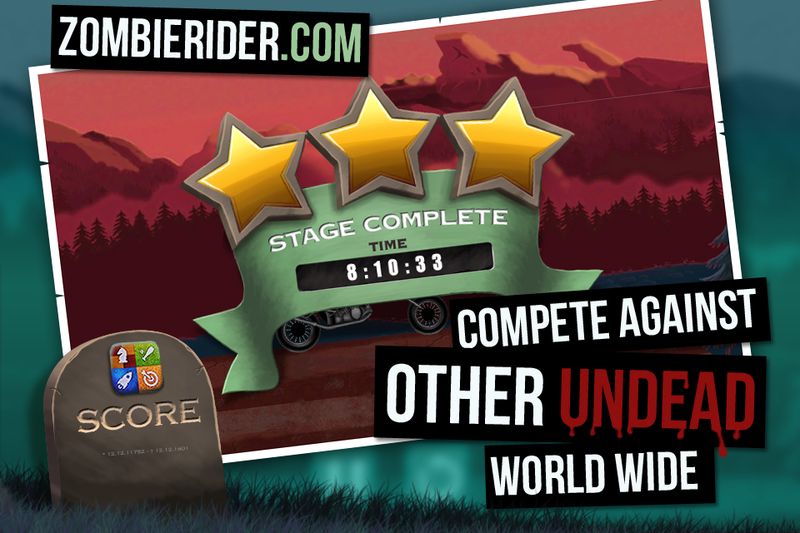 Overall, Zombie Rider is worth a download if you’re into driving games that put precision before speed. Track design is good, providing an entertainingly frustrating challenge that mounts as you progress through the game. 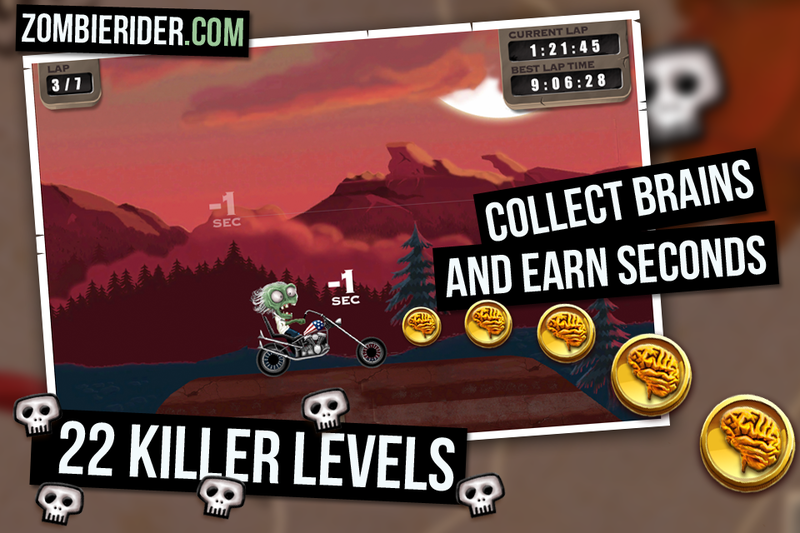 Zombie Rider is a superb 2D side-scrolling platform racer with lots of humour and action. The game is hugely rewarding and lots of fun. The graphics are smooth and beautiful, the sound is flawless and the gameplay is challenging and addictive in equal measure. This awesome game has three different levels. On every level you shall do your best to cross the finish line as fast as you can. Sometimes it is done by seriousely fast chopper driving. Sometimes it might be better to slow down a bit and collect as many brains as you can, since they give you -1 sec per brain.